A controversial point would develop alternatives to the General Schedule, the pay and classification system that covers most federal employees. The language suggests that the old and "rigid" GS, which includes two-thirds of Defense Department staff members, is not worth saving. Although the 13 points in the proposal, called "Force of the Future," apply only to DOD, it has clear implications for the rest of government. The plan would fundamentally change the relationship Uncle Sam has with his staff. He would do this by giving his managers power to more quickly recruit, advance and terminate staff members and use pay as a reward for performance. One carrot for employees would be the creation of paid parental leave, 18 weeks per birth for birth mothers and 12 weeks for partners and spouses and adoptive and foster parents. Although it does not specify details for a new personnel system, the proposal says "its goal is to provide the Secretary of Defense with the authority and flexibilities he currently lacks to directly make decisions." Significantly, the first of the 13 points would empower the secretary over employees by moving those not covered by union contracts, about 30 percent of the staff members, from one legal umbrella, Title 5's "competitive service," to another, Title 10's "excepted service." In real terms, this could mean more limited use of veterans' preference, doubling the probationary period to two years, a "market-sensitive" pay system, and promotion based more on a person's qualifications and readiness. Federal employee unions, however, already may have been able to kill the Title 10 idea. J. David Cox Sr., president of the American Federation of Government Employees, said the Pentagon told labor leaders it is now "off the table." The Pentagon did not respond to a request for comment. "AFGE opposes moving federal employees to Title 10 because Title 10 makes every employee an excepted service employee, makes every employee a temporary employee, and gives far too much discretion and authority to unaccountable managers and political appointee," Cox said. "In essence, it makes every federal employee a political appointee. The Title 5 protections that prevent a politicized federal workforce would disappear. 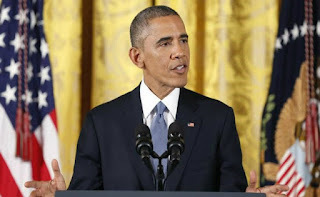 Favoritism, cronyism, and corruption would follow as day follows night." Force of the Future launches a strong attack on the General Schedule, saying it "is wholly inflexible and ill-suited to attract critical skills or motivate high performers." In the name of fairness, "the promotion system primarily rewards time in grade," the document adds, "instead of identifying, rewarding, and motivating high performers, the GS system rewards mediocrity." The proposal would allow increasing retention bonuses from 25 percent to 50 percent of base pay and establishing two career tracks, management and technical, for higher-level employees, management and technical. The maximum buyout amount managers could offer workers to encourage them to leave would increase to $40,000 from $25,000. 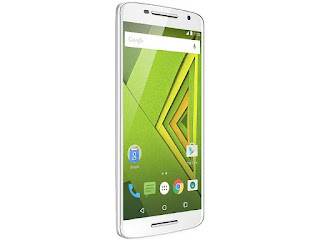 Motorola has launched the Moto X Play smartphone in India, priced at Rs. 18,499 for the 16GB variant, and Rs. 19,999 for the 32GB variant. The company has launched the dual-SIM variants of the handset in India, supporting Nano SIM cards. 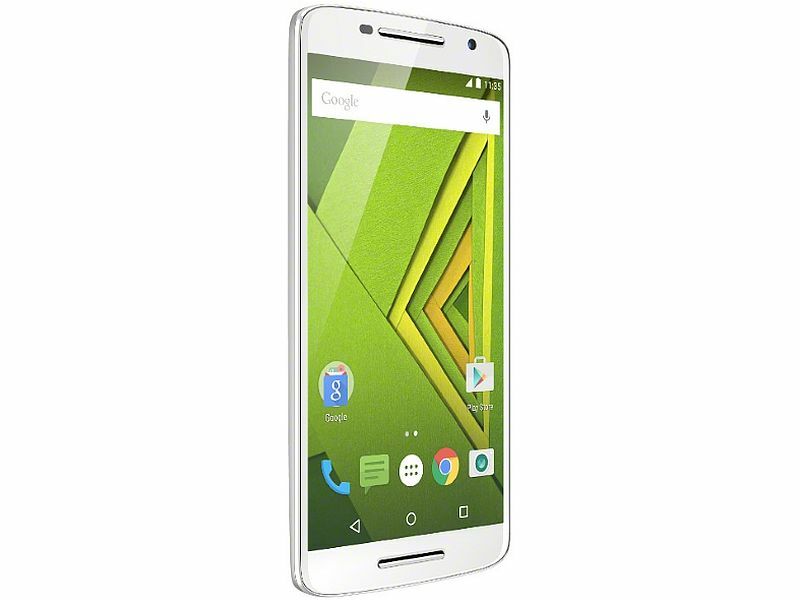 The Android 5.1.1 Lollipop-based Moto X Play smartphone features a 5.5-inch full-HD (1080x1920 pixels) display offering a pixel density of 403pppi. Quick Charge support can delivery 8 hours of usage with 15 minutes of charge. A Turbo Charger can be bought separately at Rs. 1,000. It measures 148x75x10.9mm and weighs 169 grams. It also features Corning Gorilla Glass protection.The smartphone is powered by a 1.7GHz Qualcomm Snapdragon 615 octa-core processor coupled with Adreno 405 GPU and 2GB of RAM. The rear camera features Phase Detect Auto-Focus (PDAF) and can record 1080p HD video at 30fps. Some of the other camera features include tap anywhere to capture; slow motion video support; video stabilisation; 4X digital zoom; burst mode; night mode; auto HDR; Panorama, and drag to focus and exposure. There is a 5-megapixel front-facing camera also on board. The smartphone will be available in Black with Black back and White with winter White back colours. The highlight of the Moto X Play is its 21-megapixel rear camera which comes with f/2.0 aperture and CCT (Colour Correlated Temperature) flash with dual-LED modules. The handset is backed by a 3630mAh battery with the company claiming a mixed usage of up to 48 hours.Much like other Moto devices, the Moto X Play also features water repellent nano coating. San Francisco: Twitter’s 200 million active users can soon savour or cringe over every single statement they’ve tweeted when the social media company begins sending users their entire archive of 140-character messages. Only English-language users have this service for now, but Twitter will eventually send a download link containing the full personal archives in one file to any user who asks, the company said on Wednesday. “Maybe you wanted to recall your reaction to the 2008 election, reminisce on what you said to your partner on your 10th anniversary, or just see your first few Tweets. We know lots of you would like to explore your Twitter past,” Mollie Vandor, a Twitter engineer, wrote in an official blog post Wednesday. Since Twitter launched the service in 2006, tweets have evolved from a tool for youngsters to chat about frivolous things into a force for social change. It has served as an alternative to government-controlled media, for example, in the Middle East. And during Superstorm Sandy this year, news organizations and emergency response officials turned to Twitter as an essential source of real-time information. 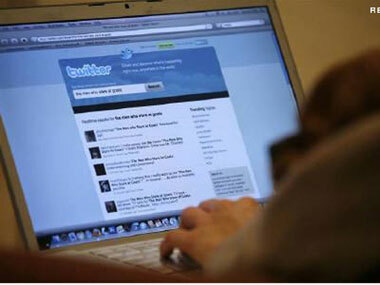 In 2010, the Library of Congress pledged to preserve every public tweet as a matter of record – a significant undertaking, given that some 400 million tweets are dispatched worldwide everyday. Bookending that archive will be one noted dispatch by Twitter Executive Chairman Jack Dorsey, who is widely recognized as its inventor. Dorsey, ignoring punctuation, brought the service to life shortly after 1:00 p.m. on March 21, 2006 with a supremely pedestrian update about his experimental social network. 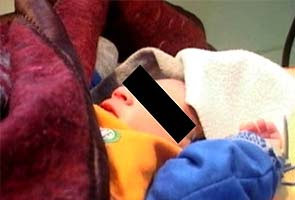 Two infants have died in a government hospital in Jammu and Kashmir's Baramulla district, allegedly due to non-availability of electricity for over two hours. The infants' families have alleged that the babies were on ventilator support when the electricity supply went off. The hospital officials allegedly didn't turn the generator on for two hours on Friday evening. "The superintendent killed my babies. There was no electricity, not even a candle. Even the nurse was missing. We were holding our babies under the light of the mobile phones," the mother of one of the infants said. "The babies died because there was no staff in the hospital, nobody to turn on the generator, where is the staff?" she added. The state health department has responded by initiating an open enquiry into the matter. Three specialist doctors from various hospitals in the valley will be heading the enquiry. This incident comes two days after a senior doctor was arrested by the Jammu and Kashmir Police for the murder of a newborn in a government hospital. The Supreme Court on Monday issued notice to six Andhra Pradesh ministers and 11 bureaucrats for their alleged role in issuing orders during the tenure of late chief minister Y.S. Rajashekara Reddy to favour the business interests of his son, Y.S. Jaganmohan Reddy. The notice was issued on a petition seeking a probe against the ministers and the Indian Administrative Service (IAS) officers in the case involving the alleged illegal assets of Jaganmohan Reddy. Jagan, as the MP from Kadapa is popularly known, is already facing a probe by the Central Bureau of Investigation (CBI) into the alleged illegal assets amassed during his father's tenure. An apex court bench headed by Justice Dalveer Bhandari issued the notice on a petition by Nellore-based advocate P. Sudhakar Reddy seeking a probe into the government orders favouring Jagan. The notice to the CBI, the ministers and officers were issued with regard to 26 government orders issued during the tenure of YSR, who died in a helicopter crash in 2009. The ministers include P. Sabita Indra Reddy (home), J. Geeta Reddy (major industries), Dharmana Prasada Rao (panchayati raj), Ponnala Lakshmaiah (information technology), Kanna Lakshminarayana (agriculture) and Mopidevi Venkatramna (excise). The petitioner has challenged a Andhra Pradesh High Court order rejecting a probe. A special CBI court in Hyderabad had also rejected the plea. Sudhakar Reddy contended that the investigation into the disproportionate assets should not be confined to Jagan but should also include the role of the ministers and bureaucrats in facilitating his business dealings. The CBI court in December last year had rejected Sudhakar Reddy's petition seeking directions to the CBI to register FIRs against the six Andhra Pradesh ministers and the 11 IAS officers. The high court upheld the CBI court's order. The high court in August last year had ordered CBI probe against Jagan on a petition filed by a state minister and some leaders of the opposition TDP. The investigating agency subsequently booked a case against Jagan and 72 others. The YSR Congress party, floated by Jagan exactly a year ago, has hailed the notice to the ministers. The party has been arguing that all the concerned ministers were equally responsible for the orders issued by the government. Central Bureau of Investigation (CBI) on Tuesday denied giving a "clean chit" to BJP legislator Dhruv Narayan Singh in the murder of RTI activist Shehla Masood. The CBI also described the murder as a "crime of passion". CBI director A.P. Singh reached Bhopal on Monday night to review the case. Officers of the premier agency told reporters in Bhopal that they are not sure whether the BJP legislator is a mastermind of the crime, but had not given him a clean chit. Shehla Masood was killed near her house in the state capital on August 16 last year. The CBI took up the case in September and so far three people - architect Zahida Parvez, her friend Saba Farooqui and city based criminal Shaqib 'Danger' - have been arrested by the agency. A contract killer from Kanpur, Irfan, has been arrested by the special task force in Uttar Pradesh. "So far, it seems that Zahida had contacted Shaqib to eliminate Shehla," officials told reporters. The officers said that with the support of local police they had so far examined 900,000 call details in the case. They claimed that they will solve the high profile case in one month's time. 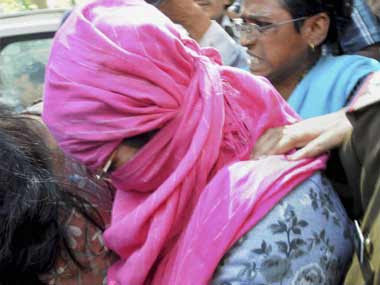 Meanwhile, in Indore the three accused Zahida, Saba and Shaqib were presented before a special CBI court. The three are in CBI custody and on Tuesday, the court of Shubra Singh granted them remand till March 13. The court also accept CBI officials request to conduct lie detector test on the accused. The National Human Rights Commission (NHRC) on Friday issued notices to Director General of Tamil Nadu Police and Chennai District Magistrate asking them to investigate the death of five suspected burglars in a police encounter. The direction came after the commission received a complaint on the basis of media reports regarding the Chennai encounter on Thursday in which the police killed five people suspected to be involved in bank robberies. The notices have been issued to Tamil Nadu’s Director General of Police and the District Magistrate and the Senior Superintendent of Police in Chennai. “The commission has directed them to respond to its notices within eight weeks along with the magisterial enquiry report, the post-mortem report and the independent investigation report into the incident as per the guidelines of the commission,” an NHRC spokesperson said. Quoting reports, the commission said that the police was on the lookout for a gang of robbers reportedly involved in a series of bank robberies in the city. Monday's attempted assassination of an Israeli diplomat in New Delhi — and Tel Aviv's reflexive indictment of Tehran for the incident — threatens to put India bang in the middle of escalating tensions in West Asia and raises new fears about its vulnerability to international terrorism. Tal Yehoshua Koren, an embassy official who is also the wife of Israel's defence attaché, sustained serious injuries when a bomb fixed to her Innova car went off at 3.15 p.m., less than 500 metres from Prime Minister Manmohan Singh's official residence. Ms. Koren was on her way to pick up her children from school. The diplomat, who was travelling on the back seat, sustained serious injuries as the blast ripped through the vehicle's metal body. Her driver, Manoj Sharma, lost control of the car after the explosion, and was injured when it crashed into a road divider. 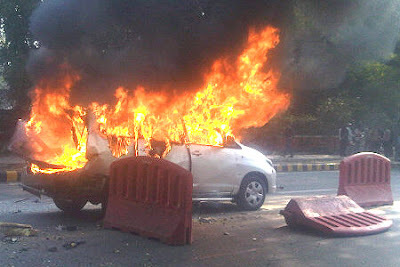 Delhi residents Manjeet Singh and Arun Sharma, who were driving behind the van, were also injured. Delhi Police Commissioner B.K. Gupta said eyewitnesses confirmed that “a device had been affixed to the vehicle by a motorcyclist” who passed the car. Police sources told The Hindu that they were sifting through high-resolution images obtained from closed-circuit cameras installed in the area. Also on Monday, police in Tbilisi, Georgia, defused an identical magnetic explosive device shortly before the attack. Interestingly, similar devices have been used to assassinate Iranian nuclear scientists in attacks in Tehran last year — attacks western media have attributed to Israel's secret service, Mossad. At least 24 people died in Odisha after consuming spurious liquor laced with medicines, authorities said. The victims from Cuttack and Khordha districts fell ill Tuesday after taking the drink that officials said contained drugs used to treat cough and cold and to dress wounds. District Collector S.N. Girish told IANS that among the dead was Baidhar Bhoi, the brew seller. He was the first to die -- Tuesday morning. Other deaths took place during Tuesday. The toll climbed to 24 Wednesday afternoon. The toll may increase further as nearly 20 were in critical condition. According to officials, people from several areas had gone to Tukuliapada village in Cuttack district to buy the drink Monday night. Chief Minister Naveen Patnaik said a judicial commission led by a retired Odisha High Court judge will probe the deaths. Excise Commissioner Sudarsana Nayak said the medicines used in the brew contained a high percentage of alcohol. Three people, who are relatives of the liquor kingpin, have been arrested.